I was taking too long to research between Jeff Janis, Antonio Andrews, Ronald Powell, and De'Anthony Thomas for that last pick and the website timed out so I don't know what my score would have been. I need free agency to start or something. I accidentally posted this in the draft database and got murdered for it. Impossible, but we can dream right? Round 2 Pick 7 (JAX): Kelvin Benjamin, WR, Florida State (A-) I went WR crazy this time. This dude could be our Alshon Jeffrey. Round 3 Pick 2: Shayne Skov, ILB, Stanford (A-) Obviously a need of ours. Round 4 Pick 2: Aaron Colvin, CB, Oklahoma (A-) His old knee injury is my only problem. Round 6 Pick 8 (MINN): Charles Leno, OT, Boise State (A-) Again value and need. Round 7 Pick 2: L'Damian Washington, WR, Missouri (A) This guy looks like Aj Green to me so I cant help but like him. I have seen him get the dropsies though. Runs a high 4.3 too. The players were obviously pre ranked based on somebodys opinion. Still a neat program and I had fun tinkering. Here is my 2nd attempt at the draft simulator. Very unlikely that HaHa Clinton Dix falls that far and that Jordan Matthews does too. We can dream though right? As you can see my main focus was to improve on our horrible secondary and acquire OL through FA. Aaron Donald in the 3rd and Dee Ford in the 4th? Ok lol. Another try without trading down at all. Find it interesting. Got a score of 3585 in game 1 where I traded back and had a crazy number of picks in the 3rd and 4th (as well as a mid 2nd still). Not happy about the lack of an ILB but in a trade allowed scenario I would have given up a mid rounder next year for one as there was talent available at value positions. Honestly just wanted to see what I could do by trading back and acquiring a "couple" of extra picks. Hahahaha. 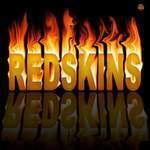 I am not a GM but I think the Skins can use some of my wheeling and dealing! I was able to not only plug some holes on our team but also give us an influx of talent. I really hope someone is looking at our threads. Haz needed weapons to run his scheme? Here they go, not to mention 2 hard hitting safeties. Round 2 Pick 13 (STL): David Yankey, OG, Stanford (A-) : He is not the most flashy guard with best upside in this draft, but I believe he can be a starter for a long time. Round 3 Pick 2: Timmy Jernigan, DT, Florida State (A) : To much value. I would play him first on passing downs when we go with the 2 d-linemen group. Round 3 Pick 13 (STL): Davante Adams, WR, Fresno State (A) : Think we need a WR and this guy looks like the WR's where Jay worked with in Cinci. Round 4 Pick 2: Yawin Smallwood, ILB, Connecticut (A) : ILB is a huge need, Smallywood is a beast. Round 4 Pick 5 (OAK): Marcel Jensen, TE, Fresno State (B+) : I just like this guy. I see him as a upgraded version of Paulsen. Round 5 Pick 2: Pierre Desir, CB, Lindenwood (A) : Need depth at CB, this guy has upside. Round 6 Pick 2: Stanley Jean-Baptiste, CB, Nebraska (A) : same as the one before. Round 6 Pick 5 (OAK): James White, RB, Wisconsin (A) : value pick. Round 7 Pick 2: Kirby Van Der Kamp, P, Iowa State (A) : Punters are people too! Exactly my feeling, except I have a Badger bias. Similar size, "deceptive" speed (aka speedy, but white), both married in college (maturity) and both make insane catches. I guess you could say I'm an "Abbredisiac"